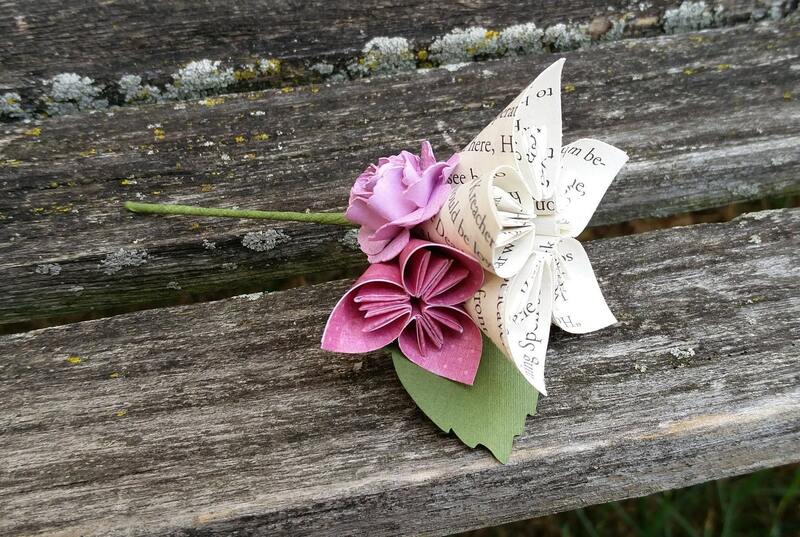 Origami Boutonnieres. CHOOSE YOUR COLORS, Books, Etc. Any Amount, Colors, Theme, Etc. Custom Orders Welcome. 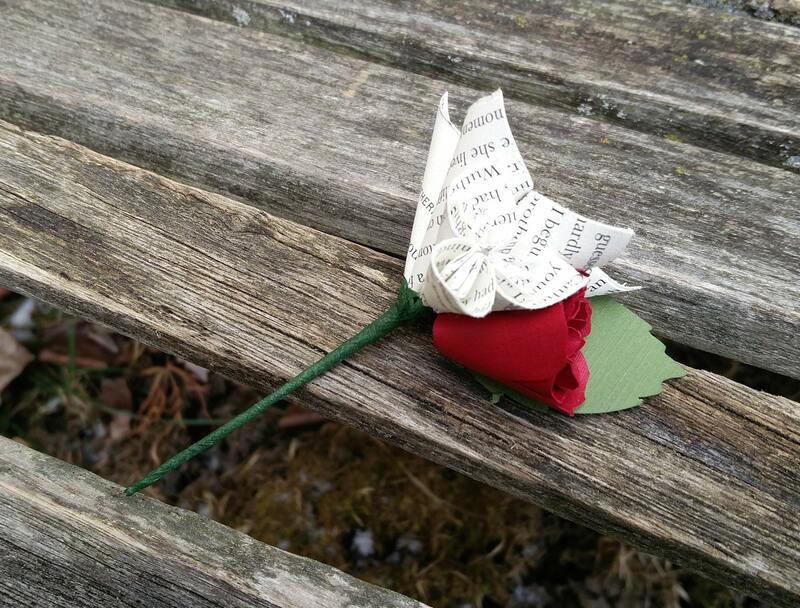 This listing is for paper kusudama boutonnieres, in the colors of your choice! 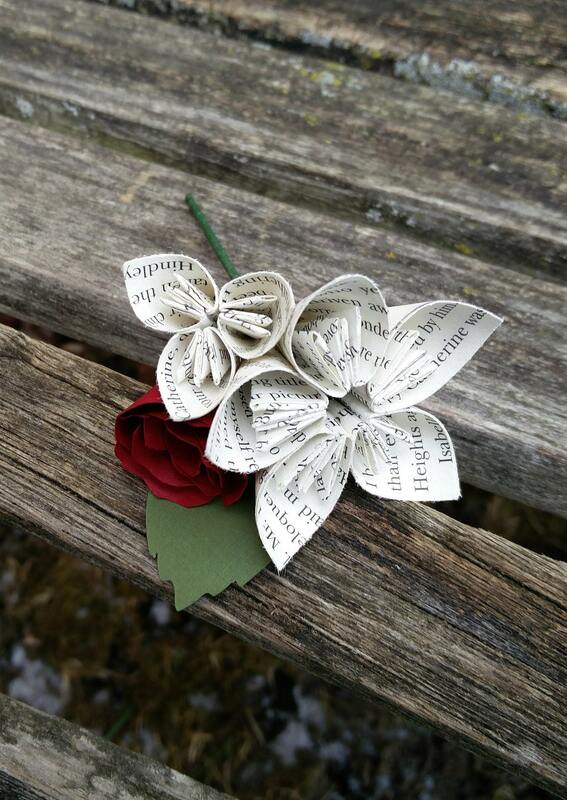 I can make these from books. Maps, vintage sheet music, comics, patterned paper, and lots more. Order as few or as many as you need! ---> Purchase the amount you need and leave me instructions in the personalization box at checkout! 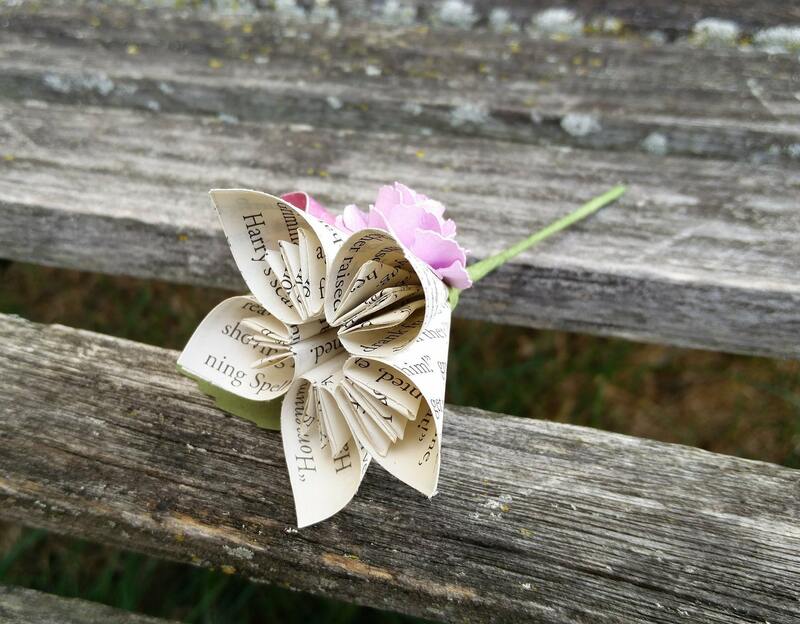 ---> Let me know what paper you would like for the main flower, and what colors you would like for the accent flowers. I have tons of colors! 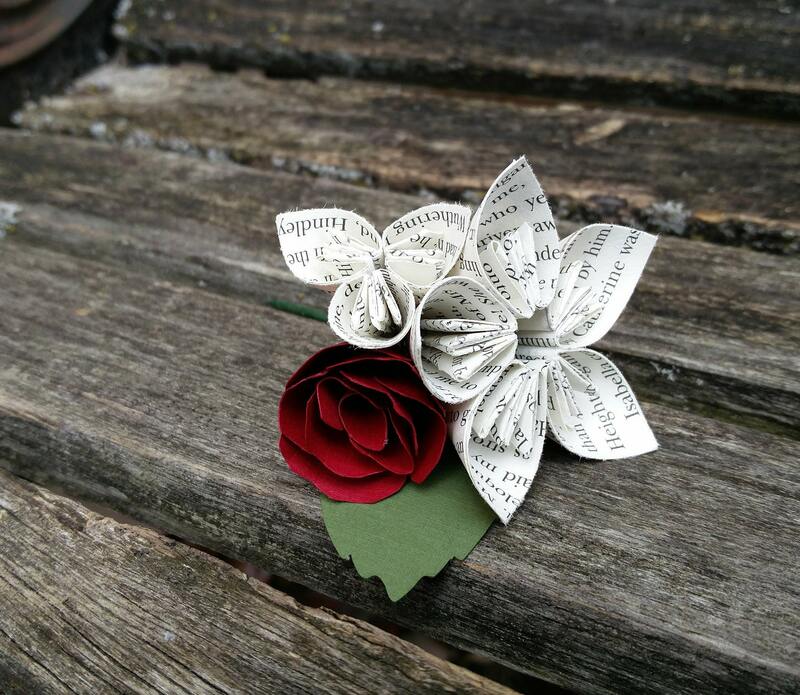 I can also do boutonnieres out of other flowers! Just ask! Contact me for full wedding orders. 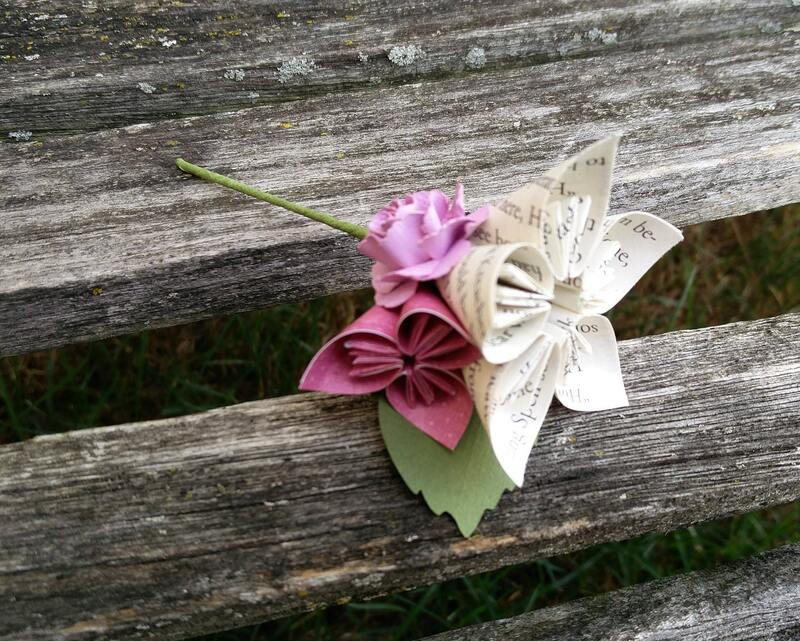 I can do bridal bouquets, bridesmaids bouquets, toss bouquets, corsages, etc.